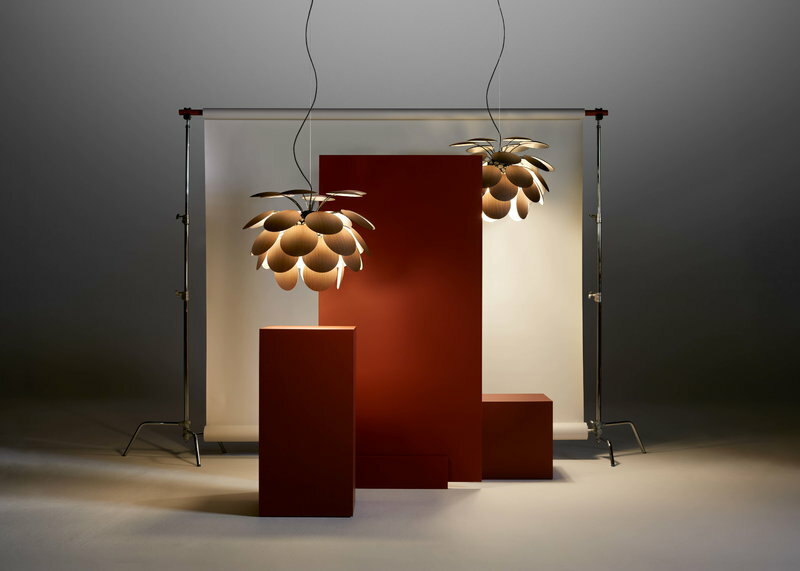 Discocó 68 pendant light by Marset catches the eye with a dance of light, shadows and shapes. Discocó was designed by Christophe Mathieu in 2009, and a new oak version was released in 2019. 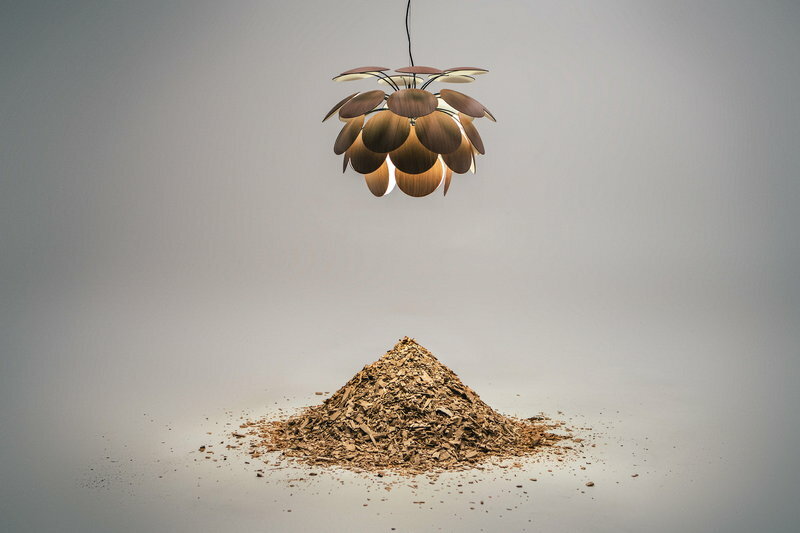 The lamp is built on a black-coated chrome frame surrounded by a cluster of round oak wood discs that reflect warm light on their both sides and make the luminaire glare-free. 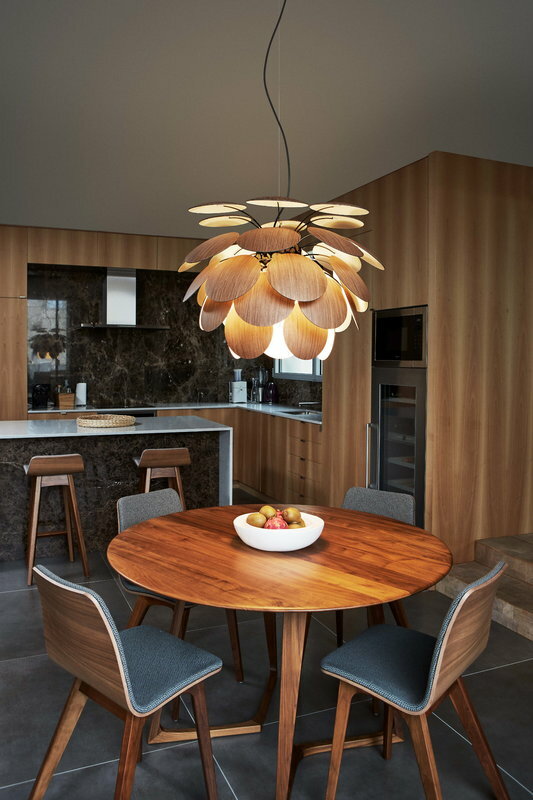 Thanks to its sculptural design, Discocó will easily complement a dining table or a large open space, and it retains its captivating presence even when the light is turned off. Christophe Mathieu (b. 1961) was born in Germany, grew up in the Canary Islands, studied interior design in Barcelona and worked as an industrial designer in Milan. 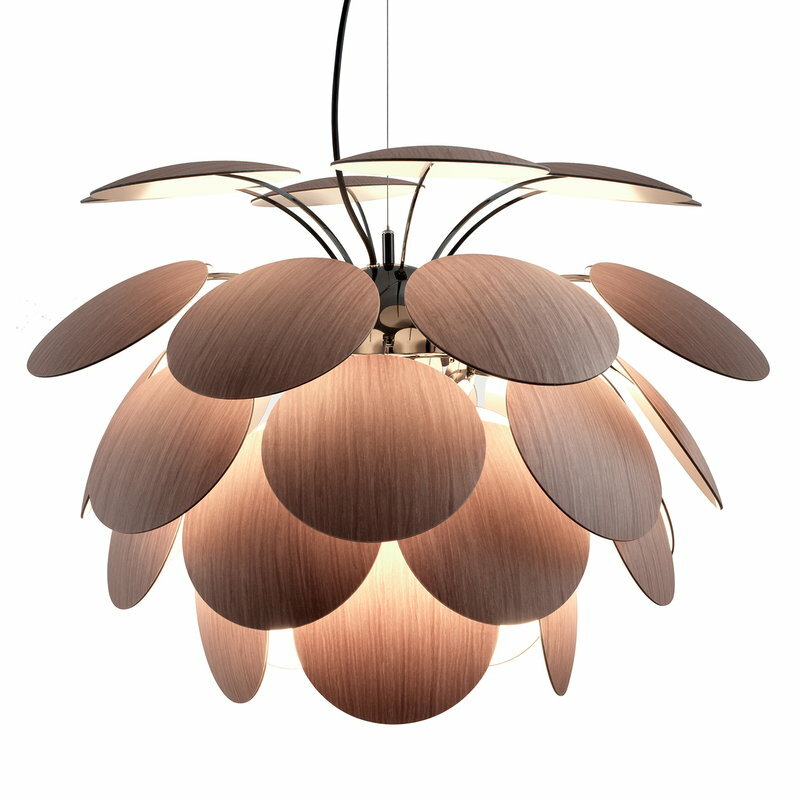 Before jumping into the world of design, Mathieu was a professional competitive swimmer. The versatile background is present in Mathieu’s designs as open-minded and energetic attitude and eagerness to try new things. 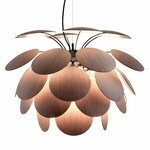 Currently living in Barcelona, Mathieu is one of the veteran designers of the Spanish lighting manufacturer Marset.